When I was brainstorming this week of YA discussion, one of the first people I thought to interview was Erin Anderson over at The Screaming Guppy. 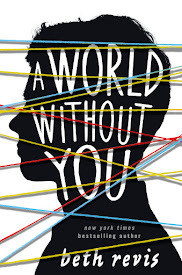 After having the priveledge to read some of her recent WIP's chapters, I suggested she consider re-aging the book to YA--which led to a lengthy discussion of just what YA is. Erin graciously agreed to share her side of the story here, and without further ado, here's Erin! YA: Not as fuzzy as expected. To be honest, the first thing that comes to mind when I think of YA is “Man, another person is writing YA? Yeesh.” My second thought has always been that YA is something I will never, ever write and in most cases, something I stay away from reading. 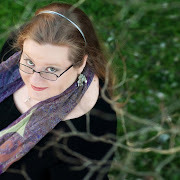 I recently had a conversation with Beth about my manuscript, HOUND IN BLOOD AND BLACK. She asked how the editing was going. I responded, you mean the editing I should be doing instead of playing all these video games? We chatted for a bit and then Beth dropped a bomb that made my heart skip: Have you ever considered writing HOUND for a YA audience? In my head, I said EW NO WAY. To Beth, I politely replied: Uhm…no? After she listed some reasons why HOUND might be for right for YA – such as having zombies, something popular with all ages lately – I had to stop her. I stated, very strongly, that I felt like my writing wasn’t geared towards YA. Of course Beth asked me why not? The only real difference between YA and adult fiction, she continued, is cutting back on world building and back story. Hmm, I thought. I did deliberately go lean on world building and history in HOUND. I wanted the story to be about my characters and not just a new spin on how the zombie apocalypse came about. But Beth, I said – still convinced there was no way my book could be YA – my book is very violent. Lots of dark topics and things nice little kids shouldn’t be thinking about, much less reading! That’s when Beth suggested I read THE HUNGER GAMES – a story about kids forced to fight to the death in an arena. I did, I loved it, and I read CATCHING FIRE in the same weekend. Point taken. YA certainly isn’t restricted to puppies and pancakes and a happy high school proms. But then we found the real problem and one assumption of mine about YA that turned out to be correct. My MC is too old (age 32). So while I still don’t feel like HOUND would fit in YA (without a major change in main character - something that would be grounds for an entire rewrite), I do see that YA isn’t exactly the animal I thought it was – at least not all of it. And while I enjoyed THE HUNGER GAMES and won’t turn my nose up at a new YA book that catches my interest just because it’s written with a younger audience in mind, I have confirmed that I’m not a YA writer, even if it's only because I don’t enjoy writing from the POV of a younger main character and, more often then not, I love me some heavy duty world building. Regardless, it’s always nice to find great stories and writing you were missing out on, simply because of a misconception. Thanks for including me on your awesome blog, Beth. And for clearing up my misconceptions! Erin, I'm so glad you've discovered that YA books can be fantastic. They're not just for teens any more. I made that same discovery when I was reading books for my daughter. The more I read, the more I loved what I was finding. Great "other side of the story" post. Thanks guys! I don't get the "main character too old" thing. Is there some idea that teens won't read books about adults? When did that happen? Unconfuse me, please! Scott: there absolutely is a misconception that teens don't like books if the protagonist is too old. In selecting books for classes, I've heard that very phrase bandied about--despite the fact that I can pull forth a drawer full of books with adult characters that teens love! Passion expressed well, there is simply no more a reader could ask for. Thanks for sharing. Can either of you tell me what "one assumption of mine about YA that turned out to be correct. My MC is too old (age 32)" means? Is Erin just mistaken here, or do I still not understand? Oh--sorry, Scott, I misunderstood your original question! I do think that most YA has the expectation that the protagonist be younger--say 25 or younger, but typically more along the lines of late teen. While there are certainly exceptions to this rule, most YA does feature a protagonist at the latest in his/her twenties, not 30+. There are some exceptions to this--but typically, I think it's more along the lines of older books not originally published for teens (such as Tolkien) or "crossover" books (such as Maria Snyder's books). What Beth said! 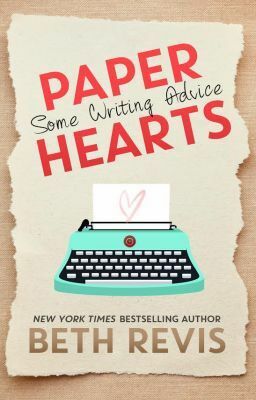 I think it also comes down to that whole concept of great story and writing can break any mold, but agents are looking for certain things when they market a book to young adults - things that have a proven track record of success. I once read that younger readers relate best to the age they can't wait to be. For instance, middle schoolers want to read about high school, high school kids want to read about college. I think we see this even more in TV shows, like "The Secret Life of the American Teenager" and "Greek." To go back a few (okay, many) years, I remember watching Saved By the Bell sometimes as a kid on Saturday morning after cartoons, but I lost interest once I started high school myself.